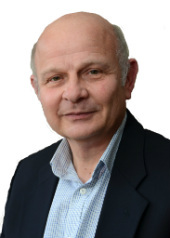 With over 30 years of surveying experience across Hertfordshire, Alan Rance can help you make informed choices about any kind of property in St Albans. We have worked with residential, commercial and industrial buildings across the area, and promise to deliver clear and impartial advice in the form of Building Surveys, Home Condition Surveys and EPCs. Homes in St Albans are in high demand, partly thanks to the city’s rich history and beautiful architecture, but also because the excellent transport links make it easy to commute across the country. London is only 20 minutes away by train, and city is bordered by the M25, M1 and A1(M). Thanks to this proximity, Cheshunt and Slough are a 40 minutes’ drive away, and there is an easy route into the Midlands or East Anglia if required. According to data from Zoopla, St Albans property prices have risen by 0.45% on average over the last 12 months, despite a rocky financial year. The average property price is currently £585,315, making the value of a survey more greater than ever. “I am a local surveying expert, with a deep understanding of the current market for residential and commercial property in St Albans. I strive to always to help customers make the best decision for their family, and deliver the best possible value by providing quality advice at highly competitive prices. Many buyers wrongly assume that any serious defects will be noted in the Mortgage Valuation, and consequently move into a home without fully understanding its structural condition. A professional survey is the only way to root out any underlying issues with the property, helping you make informed choices when negotiating with the seller, and potentially saving you thousands of pounds in repair work. This is true for all property, including new-build homes, listed buildings and commercial premises. Damp, subsidence and hidden construction issues aren’t always immediately apparent, and an expert assessment can prove valuable no matter how old your property is. Our Home Condition Report involves a detailed inspection of the property’s visible and accessible features, summarised in a comprehensive and easy-to-follow report. Defects and concerns are clearly highlighted, with expert advice about how the best way to address them. The purpose of the survey is to provide buyers with more detail about the property, so they can renegotiate the asking price, ask the seller to complete urgent works or simply walk away from the deal if it becomes too demanding. All of our Home Condition Reports are performed by SAVA certified surveyors, and are regularly audited to ensure the quality of their service. We are dedicated to giving our customers the most cost-effective survey, and use our extensive experience and local knowledge to consistently deliver a first-class service. WHICH FEATURES ARE INCLUDED IN THE SURVEY? As an example of the kind of work we undertake, we recently carried out a Building Survey on a semi-detached, 4-bedroom property in St. Albans. This investigation included an overview of the building’s construction and its connected utility services, as well as a brief background check regarding alterations and planning applications (in this instance there were no extensions to the original property or changes that fell beyond the scope of planned development). The most pressing issues found by our surveyor at this address were cracks in the external render of the kitchen and fourth bedroom, and the presence of damp. For the benefit of the buyer, these concerns are highlighted in the summary of major issues on page 14 of the report and covered in more detail in section 4.4 and section 5.3. This includes a thorough explanation of the faults that were found, the possible effects of these faults and what action is required to rectify them. The report also contains a breakdown of the Energy Performance Certificate (EPC) and information about the condition of the electrical supply and circuits in the building. Overall, the property was found to be in a good condition, although the surveyor has provided information about additional areas that could be improved. 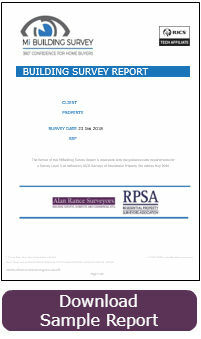 To read a full copy of the 91-page Building Survey, please click on the image below. We recently carried out a Building Survey on an end-of-terrace house in St Albans. The property was of a relatively modern construction (1900s) with conventional feature including single-glaze sash windows and suspended timber flooring. The loft had been converted into a functional room in 2009 and a kitchen extension was added in 2014. As you can see from the comprehensive report we provided, there were a number of concerns regarding the external features of the property. The majority of these were typical of the building’s age and construction, easily rectified with some straightforward remedial work and general maintenance. However, it was noted that a number of issues left the property vulnerable to substantial damp, and urgent repair was required on the roof. Both of these issues can be particularly expensive to rectify, so having them identified in a pre-purchase survey allows time for the sale price to be appropriately renegotiated with the vendor. The full report is 87 pages long, providing the potential buyer with details about every aspect of the property, how it has been investigated, its current condition and the actions required to make the building safe and comfortable. Not only does this allow purchasers to make a well-informed decision about proceeding but provides them with a professional guide to carrying out works when they move in. Our professional services are available across St Albans and the surrounding areas. Whether you require an Energy Performance Certificate, or a building survey for a new home or buy-to-let property, contact Alan Rance Surveyors for expert advice at the best value rates. You can call our office on 01525 220786 or email us at alan@building-surveyors.co. Alternatively, complete the form on the right and we will get back to you as soon as possible. We look forward to speaking with you soon.